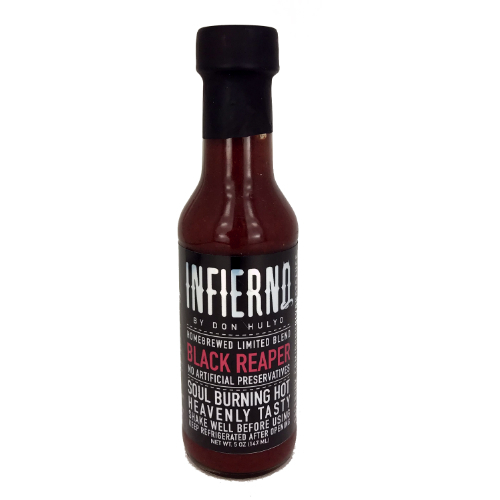 The Inferno Reaper Saude is ultimately the hottest sauce in our backyard of goddies. This hot sauce is made from the world's hottest pepper -- the Carolina Reaper -- and has bees tested to over 2 millon SHU! 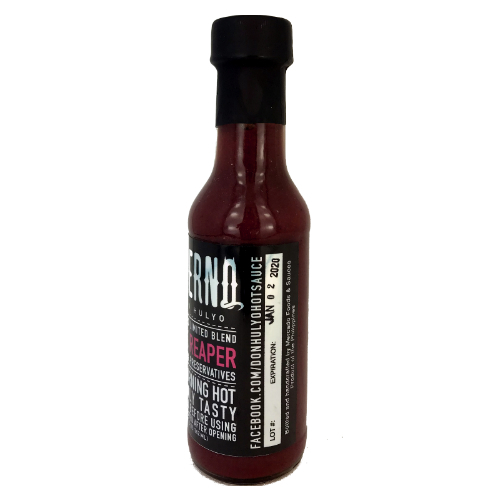 This super hot sauce comes with the savory flavor of bacon(!) and will definitely bring a goddamned ecplosion of flavor to your tastebuds. Use it with caution and enjoy our hottest variant with your favorite food. Great with: barbecues, steaks, chips n' crisps, fries... Hell, It's great with anything you want to eat!